At the very minimum, the only cost you will incur while starting out with Internet business is the cost of your internet access. This is the only mandatory requirement that costs money. If you already have an internet connection then you will be able to start some online businesses almost immediately without spending anything else. 1. Information marketing: Minimum startup capital: N25, 000. 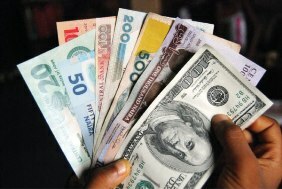 You start making N40,000 to N100,000 monthly profits within 3 to 6 months. The more money you put into the business, the more money you will make especially if you have good products. 2. Affiliate marketing: Minimum startup: N3000 naira. You start making N30,000 or more monthly profits 9 – 12 months after startup. The money you make increases monthly. 3. Pay per Click (Google AdSense): Minimum startup: 0 naira. You start making up to N30, 000 (or more) monthly profits 12 to 18 months after startup. What you make increases monthly. ‹ Q n A: In Online Business Who Pays me the Money and How do I Receive it?